October 24, 2018 (Tony Cartalucci - NEO) - The West's human rights racket has once again mobilized - this time supposedly in support of China's Uyghur minority centered primarily in the nation's northwestern region of Xinjiang, China. Headlines and reports have been published claiming that up to a million mostly Uyghurs have been detained in what the West is claiming are "internment camps." As others have pointed out, it is impossible to independently verify these claims as no evidence is provided and organizations like Human Rights Watch, Amnesty International, and Uyghur-specific organizations like the World Uyghur Congress lack all credibility and have been repeatedly exposed leveraging rights advocacy to advance the agenda of Western special interests. Human rights groups including Amnesty International and Human Rights Watch have submitted reports to the UN committee documenting claims of mass imprisonment, in camps where inmates are forced to swear loyalty to China's President Xi Jinping. Nowhere in the BBC's article is evidence presented to verify these claims. The BBC also fails to mention that groups like the World Uyghur Congress are funded by the US State Department via the National Endowment for Democracy (NED) and has an office in Washington D.C. The NED is a US front dedicated specifically to political meddling worldwide and has played a role in US-backed regime change everywhere from South America and Eastern Europe to Africa and all across Asia. China’s far-western Xinjiang region has revised its legislation to allow local governments to “educate and transform” people influenced by extremism at “vocational training centres” – a term used by the government to describe a network of internment facilities known as “re-education camps”. The change to the law, which took effect on Tuesday, comes amid an international outcry about the secretive camps in the Xinjiang Uygur autonomous region. But observers said writing the facilities into law did not address global criticism of China’s systematic detention and enforced political education of up to 1 million ethnic Uygurs and other Muslims in the area. Again, the "1 million" number is never verified with evidence, nor does the article, or others like it spreading across the Western media address the fact that China's Uyghur population is a target of foreign efforts to radicalize and recruit militants to fight proxy wars both across the globe, and within China itself. Also omitted is any mention of systematic terrorism both inside China and abroad carried out by radicalized Uyghur militants. With this information intentionally and repeatedly omitted, Chinese efforts to confront and contain rampant extremism are easily depicted as "repressive." Abroad, Uyghur-linked terrorists are believed to be responsible for the 2015 Bangkok bombing which targeted mainly Chinese tourists and left 20 dead. The bombing followed Bangkok's decision to send Uyghur terror suspects back to China to face justice - defying US demands that the suspects be allowed to travel onward to Turkey. In Turkey, they were to cross the border into Syria where they would train, be armed, and join terrorists including Al Qaeda and the so-called Islamic State (ISIS) in the West's proxy war against Damascus and its allies. The article implicates the Turkish government's involvement in facilitating the movement of Uyghurs through its territory and into Syria. Another AP article claims that up to 5,000 Uyghur terrorists are currently in Syria, mainly in the north near the Turkish border. The Western media - not Beijing - admits that China's Xinjiang province has a problem with extremism and terrorism. 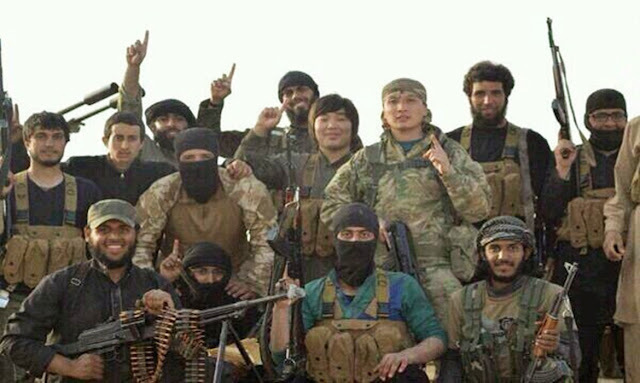 The Western media - not Beijing - admits that Uyghur militants are being recruited, moved into Syria, funded, and armed to fight the West's proxy war in Syria. And the Western media - not Beijing - admits that battle-hardened Uyghur terrorists seek to return to China to carry out violence there. Thus it is clear that Beijing - as a matter of national security - must confront extremism in Xinjiang. It is undeniable that extremism is taking root there, and it is undeniable that China has both the right and a duty to confront, contain, and overcome it. It is also clear that the West and its allies have played a central role in creating Uyghur militancy - and through feigned human rights concerns - is attempting to undermine Beijing's efforts to confront that militancy. The US National Endowment for Democracy's own website admits to meddling all across China and does so so extensively that it felt the necessity to break down its targeting of China into several regions including mainland, Hong Kong, Tibet, and Xinjiang/East Turkistan. It is important to understand that "East Turkistan" is what Uyghur militants and separatists refer to Xinjiang as. Beijing does not recognize this name. NED - by recognizing the term "East Turkistan" - is implicitly admitting that it supports separatism in western China, even as the US decries separatists and alleged annexations in places like Donbass, Ukraine and Russian Crimea. And more than just implicitly admitting so, US NED money is admittedly provided to the World Uyghur Congress (WUC) which exclusively refers to China's Xinjiang province as "East Turkistan" and refers to China's administration of Xinjiang as the "Chinese occupation of East Turkistan." 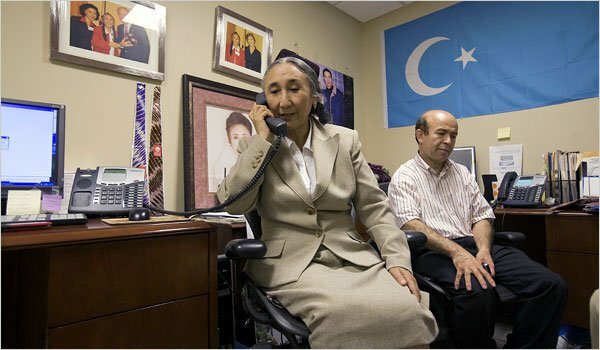 On WUC's website, articles like, "Op-ed: A Profile of Rebiya Kadeer, Fearless Uyghur Independence Activist," admits that WUC leader Rebiya Kadeer seeks "Uyghur independence" from China. It is the WUC and other Washington-based Uyghur fronts who are repeatedly cited by the Western media and faux human rights advocacy groups like Human Rights Watch and Amnesty International regarding allegations of "1 million" Uyghurs being placed into "internment camps," as illustrated in the above mentioned BBC article. By omitting the very real terrorist problem facing China in Xinjiang as well as elsewhere around the world where state-sponsored Uyghur terrorists are deployed and fighting, and by depicting China's campaign to confront extremism as "repression," the West aims at further inflaming violent conflict in Xinjiang and jeopardizing human life - not protecting it. 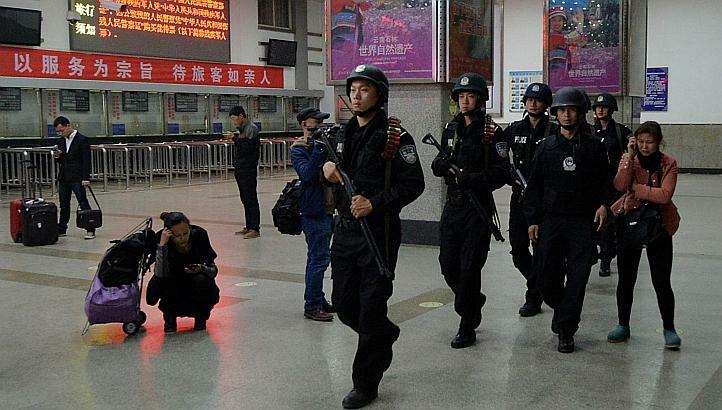 Where Uyghur terrorists are being trafficked through on their way to foreign battlefields, Beijing-friendly governments like Bangkok are sending suspects back to face justice in China. In nations like Malaysia where US-backed opposition has recently come to power, Uyghur terror suspects are being allowed to proceed onward to Turkey. The escalating trade war against China, threats of sanctions over allegations of Uyghur detention camps in Xinjiang, threats of sanctions if China buys Russian defense equipment, all is aimed at disruption of the sole emerging threat to a Washington global order, one that is not based on freedom or justice but rather on fear and tyranny. How China’s authorities are trying to deal with this full assault is another issue. The context of events in Xinjiang however needs to be made clear. The West and especially Washington is engaged in full-scale irregular war against the stability of China. It is difficult to argue with this conclusion - as the US has already openly wielded terrorism as a geopolitical tool everywhere from Libya where the nation was divided and destroyed by NATO-led military operations in the air and terrorist-led troops on the ground, to Syria where the US is all but openly aiding and abetting Al Qaeda and its affiliates cornered in the northern governorate of Idlib, and even in Yemen where another AP investigation revealed the US and its allies were cutting deals with Al Qaeda militants to augment Western and Persian Gulf ground-fighting capacity. It is important to understand the full context of the West's accusations against China and to note the media and supposed nongovernmental organizations (NGOs) like Human Rights Watch, Amnesty International, and others involved in propaganda aimed at protecting terrorists and promoting militancy inside of China. These same media groups and faux-NGOs will turn up elsewhere along not only China's peripheries across Southeast, South, and Central Asia, but also within and along the borders of nations like Russia and Iran. 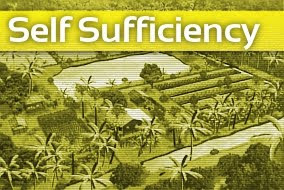 Exposing and confronting these appendages of Western geopolitics, and the Western corporate-financier interests themselves directing their collective agenda is key to diminishing the dangerous influence they have and all the violence, conflict, division, and destruction they seek to employ as they have already done in places like Iraq, Afghanistan, Yemen, Libya, and Syria.